Today's Gil's Call is a discussion of accurate news reporting, in the wake of Deadspin's allegedly false Mitch Williams news reports that ultimately resulted in a $1.5 million award against MLB Network after the since-deleted pieces led to his job loss. Related Post: Williams Awarded $1.5M after MLBN Firing Based on False Media Report (7/4/17). The Williams v MLB Network saga really underlies the importance of accuracy in journalism. To summarize, Deadspin in 2014 published multiple stories pertaining to Williams' alleged conduct during a youth baseball event: specifically, Deadspin alleged that Williams cursed at an umpire, had to be "physically separated" by other coaches, and ordered one of his youth pitchers to intentionally throw at another batter, calling the child a vulgar name. In response, Williams' employer, MLB Network, immediately suspended the on-air analyst pending further investigation and attempted to get Williams to sign a contract amendment (he refused, claiming the amendment was illegal), before firing him for breach of contract (the faulty legal logic here is another discussion to be had). Williams alleged Deadspin's story was fake, false, and/or materially misleading, and sued Deadspin's then-parent company, Gawker Media, for defamation of character, along with MLB Network for wrongful termination. Long story short, Williams won $1.5 million from MLB Network and Gawker filed for bankruptcy prior to the final resolution of Williams' case against it. Had Deadspin done its due diligence, alleged Williams, it would have discovered its story was false. Related: Is Mitch Williams Getting Screwed? (Philadelphia Magazine, 4/5/15). Williams decried Deadspin's report as false. Say what you will about Gawker, say what you will about Deadspin, or even MLB Network (don't suspend an employee based on allegations alone! ), but at Close Call Sports, we strive to stick to a standard of journalism relative to our news-reporting function that prevents any potentially fake news or inaccurate material from making it into one of our articles. Truth is the ultimate defense to defamation while falsehood is a fast track toward litigation: just ask the Associated Press, which paid NBA referee Bill Spooner $20,000 to settle charges that AP reporter Jon Krawczynski tweeted a libelous falsehood that allegedly tarnished the veteran NBA crew chief's reputation. Yes, even Brooks is misleading. It's a similar reason for our intricate strike zone analysis procedure: it might seem slow, relative to the "automatic" services that rule in real-time, but it's accurate while theirs aren't (For instance, MLB Commissioner Rob Manfred told Dan Patrick on his radio show that "unfortunately," the broadcasts display strike zone graphics that are not truly representative of what the real strike zone is: the broadcast strike zone is different than what MLB uses to evaluate its umpires). Whereas mass data sites can be misleading at best, if not extremely inaccurate to the tune of tens-of-thousands of pitches per year, we relish the opportunity to play tortoise to their hare—and to offer a transparent explanation of our process. As such, our Best Practices may appear archaic or inhibitory to the break-neck pace of news reporting in this new digital Twitter age, but the CCS process exists to prevent precisely the potentially false news fiasco as occurred between Williams, Deadspin, and MLB Network. 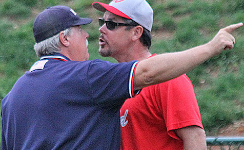 First, I'll discuss the flagship function of the Umpire Ejection Fantasy League (or its namesake's perception), which is ejection reporting and analysis. Quality of Correctness is well covered in the extensive UEFL Rules Book section on the UEFL Portal, with the Kulpa and Miller Rules 6-2-b-1 and 6-2-b-2 pertaining to the horizontal and vertical components, respectively, of strike zone analysis. 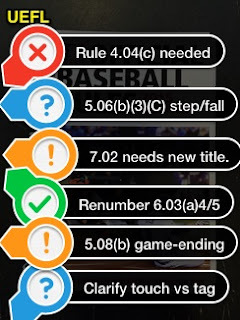 To further ensure accuracy through the use of a quasi-checks and balances system, Rule 6-4 established the UEFL Appeals Board, which has ruled on matters of disputed or controversial information since its inception in 2012. The general workflow is that I post an ejection report with a certain QOC value (the "Original Ruling"). A user objects to the Original Ruling, and files a challenge or appeal. The case goes to the UEFL Appeals Board, whose members rule on the matter while I sit out and await the Board's decision, which is final and binding. Many times the decision is affirmed, but reversals also occur. The purpose of the Appeals Board is, ultimately, to ensure that we get our calls right. Related: About Us (includes Kulpa/Miller/Appeals Board info). In a similar vein, UEFL Rule 8-3 establishes the year-end Rules Summit during which users are invited to submit, discuss, and vote on proposals for rules changes and other matters, such as Appeals Board re-election. The Rules Summit exists to ensure that the UEFL remains accessible to its fans, and also ensures a check on the Commissioner or Board's powers. UEFL Rules pertaining to the DISQUS commenting system allow for a wide variety of viewpoints to thrive on the website while ensuring a safe environment for its participants. Finally, these are CCS/UEFL's Best Practices as they relate to unconfirmed news, and we'll use a real-world example of an umpire's rumored retirement from Major League Baseball to see how these procedures come into play. > > (Type of post) Rumor - Indicates information/news provided by an unconventional third-party source that has not been verified by an unrelated party. The "Rumor" tag is reserved for operational information. Like rules analysis, the news isn't that simple. We receive information about rumors, and we encourage users to submit such intel so that we may better be in a position to serve you. That said, a rumor is a rumor until corroborated by an independent source, source with knowledge, inside source, or, ultimately, is confirmed by an official (public) source. 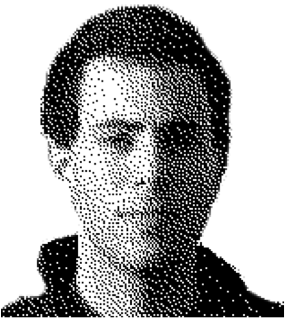 Rumor-reserved-for-operational-information simply means that personal information will never be posted as a rumor (e.g., this person is rumored to ____), but non-personal information may (e.g., the strike zone rule is rumored to ____). Example: The rumor about one umpire's impending retirement is personal in nature and, accordingly, cannot be published in an article, as personal rumors are precluded from reporting. > Source verification: All items submitted to us by an unconventional third-party source (e.g., a private person not affiliated with a media organization) shall be subject to additional verification from an unrelated party. We routinely receive tips and scoops about officiating news, and encourage our users to continue sending in that information so that we may continue to provide quality content. Bear in mind, naturally, that in order to diminish the chance of a false or misleading story making into the final copy, the Source Verification practice has been established in order to independently confirm a story before it is published. Example: We receive user-submitted information stating that this umpire has planned to retire due to injury. Although multiple users submit corroborating information, we opt to wait for additional verification and decline to publish a personal story without this further information. > Public information: Items reported to the public via reputable news outlet may be disseminated as such information is freely available. Finally, information that is reported to the public via public announcement, reputable (aka "traditional") journalism, or otherwise, is subject to reporting. Similarly, information made public by a primary source is also subject to dissemination, and multiple public sources may be combined to form aggregate content unique in its composition. Example: Several weeks after we began receiving information about the umpire's plans to retire, the umpire himself confirms his retirement through a public announcement. Thanks to the user-submitted information preceding this announcement, we are able to pre-stage an article celebrating the umpire's career in announcing his retirement, and publish this article in short order after the public announcement is made. Related Post: [I-Source/Public] Source - Jim Joyce Retires, Holbrook & Emmel Promoted (1/16/17). Related Post: [Primary Source] Veteran Crew Chief Tim Welke (3) Announces Retirement (3/17/16). Related Post: [Primary Source] John Hirschbeck Retires After 34 Year MLB Career (10/12/16). Related Post: [Public Ann'] MLB Umpire Bob Davidson Retires After 28 Year Career (10/2/16). Related Post: [Official Source] Retirement of MLB Umpire Tim McClelland (2/17/15).